이번 베네핏 콘서트에서는 앙상블 디토Ensemble Ditto의 첼리스트 Michael Nicolas와 뉴욕을 무대로 가장 활발히 활동 하고 있는 한국 최고의 드러머 이상민님을 한자리에서 만나 보실 수 있습니다. 이번 베네핏 콘서트는 Saint Peter’s Church에서 열리며 곧 온라인 티켓판매가 시작됩니다. 티켓예약과 문의는 전화 212-239-4438또는 메일 becon@enob.org로 부탁 드립니다. EnoB's Spring Benefit Concert will be held on April 12th at Saint Peter’s Church. 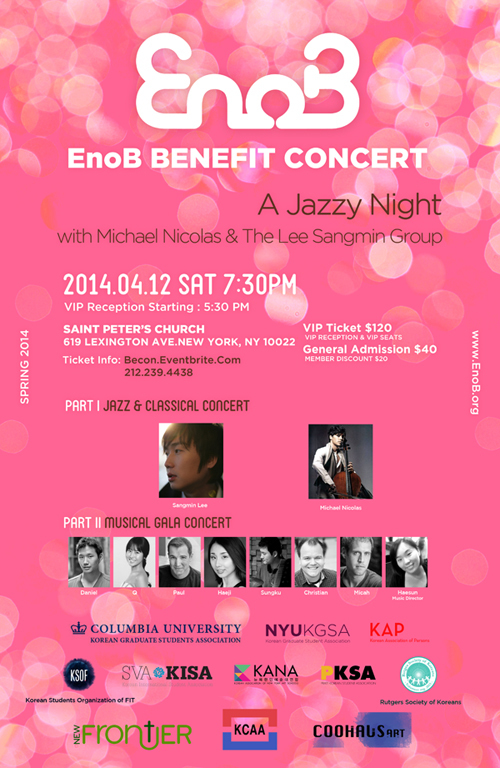 The cellist Michael Nicolas of Ensemble Ditto will perform with the Korean Jazz drummer Sangmin Lee. And also you can enjoy EnoB band music and other variety contents. This Concert will help to support EnoB’s Activities for this year. You can help to spread happiness and also enjoy music by attending this concert! 마이클 니콜라스는 전 몬트레올 심포니 오케스트라 첼로 부수석이자 현재 국제 컨템포러리 앙상블(International Contemporary Ensemble)과 앙상블 디토의 멤버로서 이 시대에 아티스트 중 가장 활발히 활동 중입니다. 특히 앙상블 디토는 2007년 그 역사를 시작해 한국 클래식 음악계의 새로운 핫 아이콘으로 자리매김하며 2009년 예술의 전당 유료관 계 1위, 매년 10개 도시 순회공연 전석 매진의 기염을 토하며 한국 클래식계의 사랑을 독차지 하고 있습니다. Hailed by critics from the New York Times, “brilliantly assured” cellist Michael Nicolas is one of the rising stars on the classical and contemporary music scene. From 2008-10, he held a position as Associate Principal Cellist of the Montreal Symphony Orchestra. 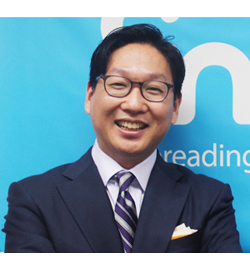 He is also a member of Ensemble Ditto, a chamber music group based in South Korea that has garnered extraordinary success in reaching new and more diverse classical music audiences. 현재 한국과 미국에서 왕성한 활동을 하고 있는 이상민은1999년 한상원, 정원영, 이적 등과 함께 결성한 긱스(Gigs)의 드러머로 데뷔하며 세상의 주목을 받기 시작했습니다. 이후 2006년 과 2011년에 각각 버클리 음대와 뉴욕대학원에서 석사와 박사를 취득하며 음악적 역량을 한 층 더 높였습니다. 이상민은 이미 이승철, 이승환, 이수영, 박정현, Brown eyed soul,이은미, 강타, 빅마마, 박효신, 김형중, 김범수, 박진영, 김동률 등의 국내 최 정상급 가수들의 러브콜을 받으며 공연 및 세션활동을 통해 국내에서 그 입지를 인정받고 있습니다. 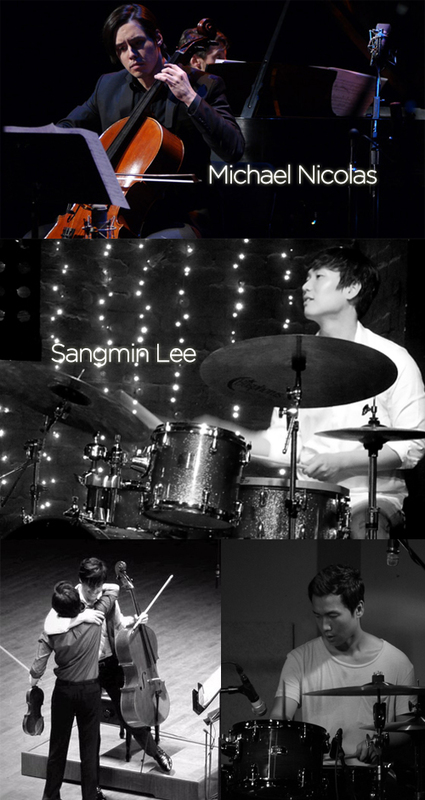 Sangmin Lee is one of the most in-demand recorded live session drummers in South Korea. Lee performed with artists such as Junghyun Park, Juck Lee, Sora Lee, and many other renowned musicians in various genres. He graduated from Berklee College of Music and New York University. He released his 1st solo album titled “Evolution” in 2010. The great jazz drummer Akira Jimbo claimed Sangmin’s style as “Hyper jazz rock hip hop techno mixture” inventive, non-traditional. New York’s Jazz scene is Lee’s next new frontier . 이노비 베네핏 콘서트의 2부는 뮤직디렉터 서혜선의 지휘아래 즐거운 뮤지컬 갈라 콘서트로 꾸며집니다. 이노비가 평소 장애인들과 병원에 입원중인 어린이들에게 가져가는 이 콘서트는 유명 브로드웨이 뮤지컬과 디즈니 뮤지컬 라이온킹, 인어공주등의 노래로 즐겁고 신나는 시간을 선사할 계획입니다. 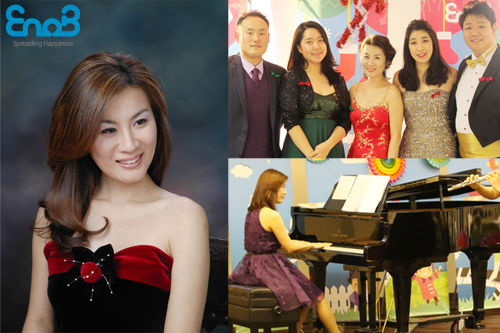 The second part of the Concert, organized by Haesun Seo, will present songs from popular Broadway musicals. 연주자들에 대해서 더 알고 싶으시다면 아래 링크를 클릭하세요! Do you want to know more about our musicians? Click Below! 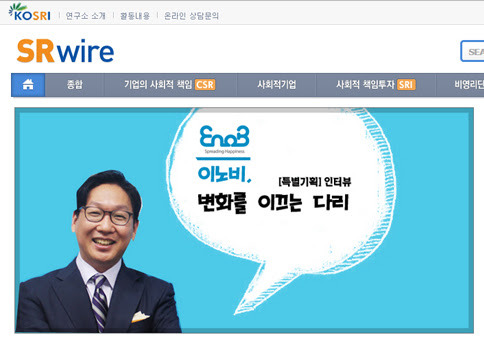 뉴 프론티어교회, 컬럼비아대학원 학생회, NYU 대학원 한인학생회, 럿거스 대학 한인 자원봉사단체, SVA, FIT, PRATT, PARSONS, KANA, Coohaus Gallery, KCAA, KSANY, 맨하탄 성 프란치스코 한인천주교회와 이번 베네핏 콘서트를 함께합니다. 이 노비의 베네핏 콘서트를 위하여 뉴욕의 4개의 미술학교 한인 학생회와 그리고 뉴욕 예술 대학교 연합단체인 KANA가 함께했습니다.이 날, VIP Reception에서는 특별히 마련된 SVA, PARSONS, FIT, PRATT의 재학생, 졸업생들의 작품과 Coohaus Gallery의 작품전시가 준비됩니다. 젊은 학생들의 창의적인 아이디어와 예술성이 돋보이는 예술작품 전시를 준비하고 있습니다. 한인 학생회와 협력관계를 맺어 기획한 EnoB만의 특별한 전시회, 많은 기대 바랍니다. 이 외에도 더 많은 COOHAUS Gallery 작품과 자세한 작품 정보를 아래 링크에서 보실 수 있습니다. 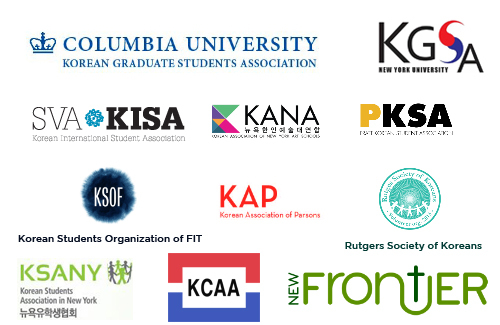 During the event, Korean students from four different NYC art schools as well as the members of the Korean Association of New York Art Schools (KANA) will exhibit their works in the VIP Reception. 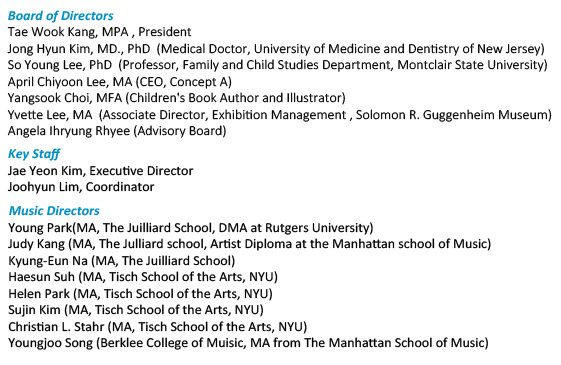 The participating schools are: School of Visual Art (SVA), Parsons the New School for Design, Fashion Institute of Technology (FIT), Pratt Institute and Coohaus Gallery. 5:30pm부터 시작되는 VIP Reception에는 VIP 분들을 위해 특별히 준비한 식사와 음료가 마련됩니다. There will be the special catering at the VIP reception whici starts from 5:30 pm. 3월 20일 이노비는 브롱스의 Calvary Hospital의 호스피스 병동을 다녀왔습니다. 생의 마지막을 준비하시고 계신 어르신들의 두려움과 고독함을 달래드릴 음악으로 희망과 기쁨을 전해드리고 왔습니다. 또한 프랭크 칼라마리 병원장님이 이노비가 공연하는 곳에 직접 방문하여 환자들에게 잊지 못할 아름다운 시간을 선사해주어 고맙다는 감사의 뜻을 전하기도 하였습니다. 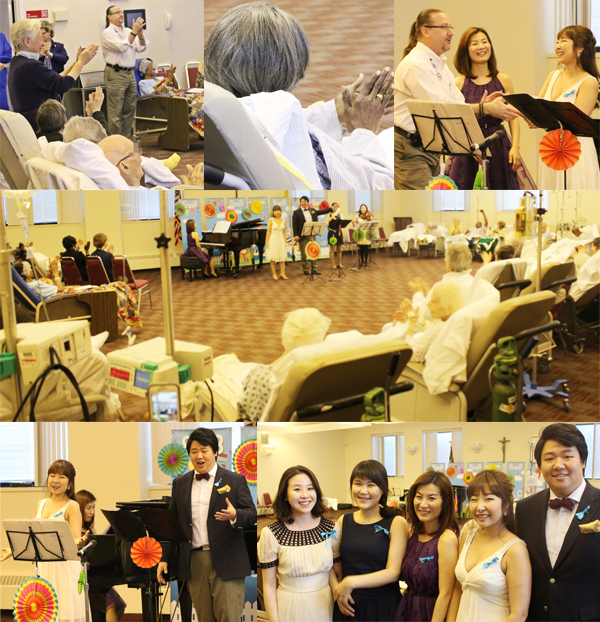 On March 20th, we performed a concert for the patients and the families of the Calvary Hospital Hospice. 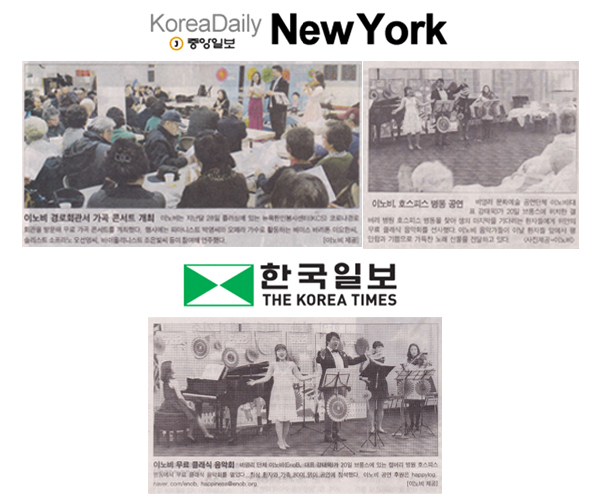 양 혜조님은 맨하탄 음대에서 석사를 하시고 뉴욕 Weill Recital Hall at Carnegie Hall,맨하탄 음대 Greenfield Hall, Merkin Concert Hall, Yamaha Pianos Concert Series 후원으로 여러 차례 독주회, Klavierhaus Recital Hall ,Di Menna Center, 프라하 Czeck Museum of Music 과 Brevnov Monastery 에서 연주를 하신 경력이 있습니다. 맨하탄 음대에서 Teaching associate으로도 활동하셨고 현재는 전문 연주자로 뉴욕에서 꾸준하게 활동하고 있습니다. 또한 양혜조님은 지난 12월 27일 Union Plaza Care Center와 3월 20일 Calvary Hospital의 아웃리치 콘서트 프로그램을 맡아 어르신들께 희망과 기쁨이 가득한 멋진 공연을 선사해주시기도 하였습니다. 이노비와 함께 뮤직디렉터로 행복나눔을 몸소 실천하시는 양혜조님을 환영해주세요! Introducing artists who have exhibited their art at the last EnoB Benefit Concert. They are spreading happiness with EnoB with their talent. - Hyun Joo Lee: 이현주님은 파슨스의 4학년에 재학중이며 패션디자인과에서 남자 아동복을 전공하고 있습니다. 이현주님은 처음엔 남성복을 전공하던 중 호기심에 남자 아동복 콜렉션을 시작하였고 지금은 남자 아이들이 하루 빨리 어른이 되고 싶어 하는 마음을 담아, 남성복 디테일을 가져와서 남자 아동복에 알맞게 맞추어 디자인 하고 있다고 합니다. 또한 지난 콘서트 당시에는 직접 만든 에코백을 전시하여 큰 인기를 끌었습니다. 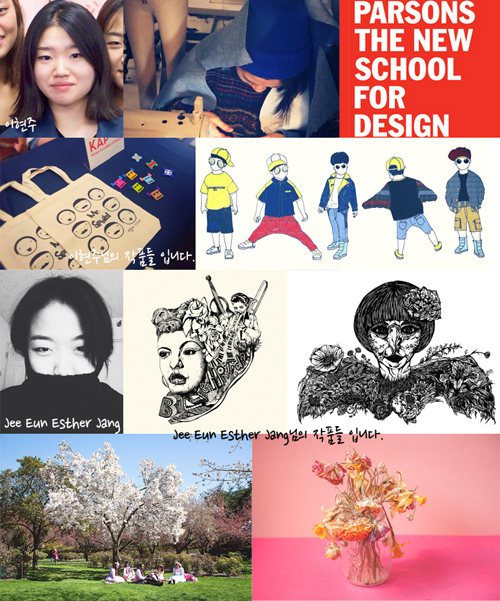 Hyun Joo lee is studying Fashion design, with a special emphasis in children’s wear(for boys). She design children’s wear for children who wish to become early adults. 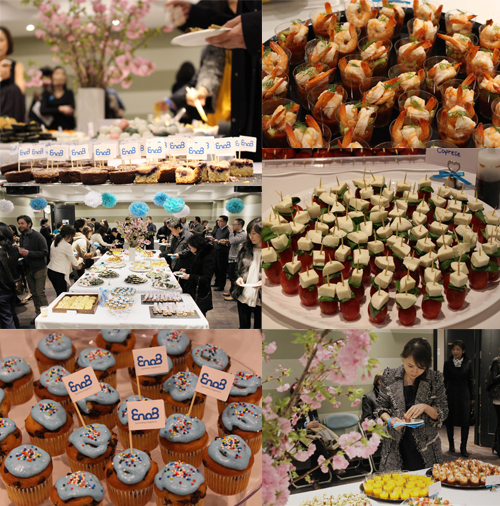 At the last EnoB Benefit Concert, she made textile bags which were sold for EnoB. - Jee Eun Esther Jang : Jee Eun Esther Jang님은 파슨스에서 사진을 공부하고 있으며 뉴욕 내에서 사진가, 일러스트레이터로 활동하고 있습니다. Jee Eun Esther Jang 님은 모든 예술채널과 미디어를 통해 끊임없는 미의 근원에 대한 탐구, 구상하여 작업을 하며, 보는 이들로 하여금 아름다움, 즐거움, 사랑, 삶 그리고 행복을 느낄 수 있도록 하는데 초점을 맞추고 있다고 합니다. Jee Eun Ester Jang is a photographer and an illustrator currently based in New York City. She is studying photography at Parsons, the New School for Design. 코스리는 기업의 사회적 책임(CSR)에 대해 연구하며 기업들에게 CSR을 소개하는 연구소입니다. 이번 SR와이어 (매거진) 에는 이노비의 비전과 설립계기 그리고 향후 계획에 대해 소개되었으며 앞으로 기업들의 CSR활동에 이노비가 중요한 다리 역할이 되길 기대합니다. EnoB is introduced to SR wire, a magazine of KOSRI! 김예라님은 중앙대학교 피아노과에 재학중이며, 평소에 음악을 통한 나눔 활동에 관심있어 했지만 좀 더 적극적으로 동참해 보고자 이노비에 문을 두드리게 되었다고 합니다! 김예라님은 2월 성모병원 호스피스센터에서 있었던 아웃리치 콘서트에서도 발룬티어로써 함께 했었습니다. 인턴 활동을 통해 이노비의 나눔활동을 더욱 빛내 주시고 뜻깊은 시간 만들어 가시길 바랍니다. Yera Kim is attending Chung-Ang University, majoring in Piano. She has become an intern at EnoB. She just participated as a volunteer in an out-reach concert at the Hospice of Mary's Hospital in February. 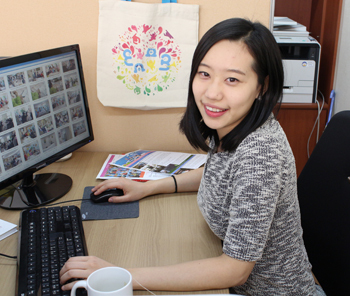 We hope Yera Kim can spend a meaningful time with us during her internship period. 이노비가 하는 모든 일은 후원자님의 후원으로 이루어집니다. 후원에 진심으로 감사드립니다. 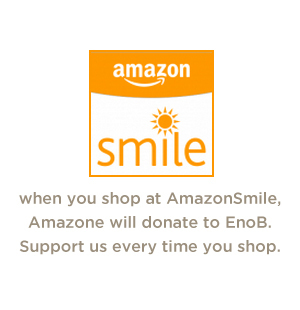 Many people have been supportive of EnoB's efforts. All of EnoB's programs were accomplished by volunteers. We are grateful for their support. 우 리 주변의 소외된 이웃들을 찾아가 소통의 다리가 되어드리는 이노비의 무료 아웃리치 공연사업은 여러분의 후원으로 이루어 집니다. 여러분의 따뜻한 마음은 아름다운 선율이 되어 우리의 이웃들에게 행복으로 전달됩니다. 행복을 나누는 이노비의 활동에 여러분도 함께 동참해 주시길 부탁드립니다. Over the last eight years, EnoB has spread happiness to 9,600 program participants, and that number continues to grow! The musicians, artists, staff, and board members at EnoB could not accomplish their mission without the support of our donors and volunteers. PLEASE, join us to Spread Happiness in the world! * EnoB is a 501-c-3 nonprofit organization, so all contributions to EnoB are tax-deductible to the full extent of the law! 아마존 스마일을 통해 이노비의 행복나눔활동에 동참해보세요! 아마존스마일에서 물건을 구매하면, 다른 추가금액 없이 한번의 클릭으로 구매금액의 0.5%가 이노비의 주변의 소외된 이웃들을 위한 무료공연프로그램 사업을 위해 쓰여집니다! 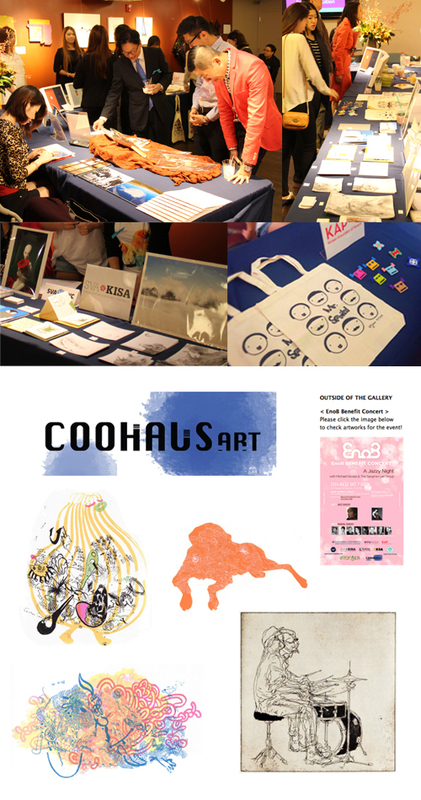 If you click the image on the left, you will be able to view the previous EnoZines.